Last Tuesday, at a conference on digital transformation with CEOs from Saudi Arabia at the Jeddah Hilton that evolved into a question and answer session on all sorts of topics related to different aspects of technology, I was asked how long bitcoin fever would last and to what extent could it be considered a serious investment possibility. Answering such a question requires a great deal of caution, and all the more so for somebody like myself who is not an economist or expert in the financial markets, and who is talking to an select audience that is not just looking to make a profit, but could also significantly influence the value of bitcoins were they to to mobilize part of their money in a coordinated way. So, after clearly expressing these concerns, I limited by comments to two issues: the first, very clear and endorsed by a 2013 Federal Reserve Bank of Chicago report, that the bitcoin is based on what is possibly the most elegant technical solution we have ever known that solves the problem of money creation and duplicity of transactions, and is one that undoubtedly is here to stay. The concept of cryptocurrencies is sound, as is its transactional base, the blockchain, are here to stay, and we will undoubtedly see their growth, which will affect both the popularity and adoption of bitcoins and other varieties that provide anonymity. To understand the reasons for the popularity of blockchain-based solutions, I still recommend Don and Alex Tapscott’s book, “The Blockchain Revolution”, the Spanish edition of which I wrote the introduction to. My second point, that by its own configuration, the bitcoin will not be a safe asset until enough time has passed allowing it to stabilize its worth. At this time, and aided by news of investments with lavish returns completely beyond the reach of other legal financial instruments, the bitcoin is much more a speculative asset than a currency as such, and should be regarded as such by those who consider using it. 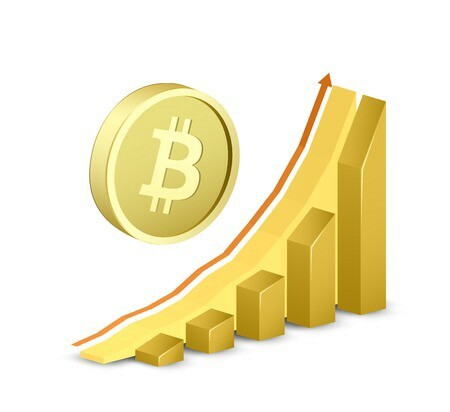 As things stand, there is no comparison in terms of volatility between investing in a currency and doing so in bitcoins, which places the bitcoin far from the realm of foreign exchange investment and places it firmly in the realm of speculative investment, in addition to the risk derived from its adoption curve. Investors should also take all the precautions for new environments to avoid criminality such as fake websites linked to phishing schemes or others that clone investment proposals. Any opinions? What would you have told a group of Saudi CEOs on this issue?